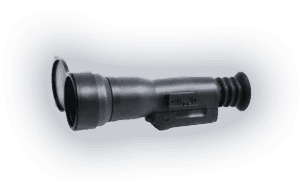 MSS Defence is proud to represent SENOP, a best-of-class manufacturer of thermal cameras and night vision systems from Finland. No matter what tests you put these products through, the SENOP ruggedized Mil-Std optics are top-ranking. Nordic quality that will survive the elements and gives the demanding military user the decisive advantage. 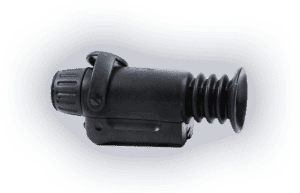 LISA is an accurate and versatile hand-held multi-sensor target acquisition and observation system for day and night-time use. 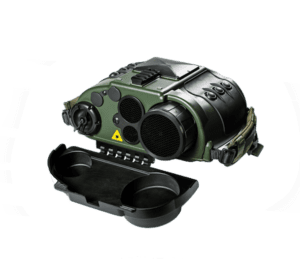 The system includes an uncooled thermal camera, direct-view day channel, eyesafe laser rangefinder, digital magnetic compass, GPS, C4I connectivity, wireless connection, image and video capture with target information and CCD camera. The LISA system has a modular structure and thus can be easily modified for a variety of missions and integrated with various command and control systems. LISA has a low power consumption and has been designed with ease of use in mind. LILLY is a compact multifunctional thermal camera with exceptional situational awareness capabilities with minimal power consumption. LILLY is a superior tool for observation, reconnaissance and target acquisition. Versatile connectivity and communication possibilities ensure a high situational awareness level. 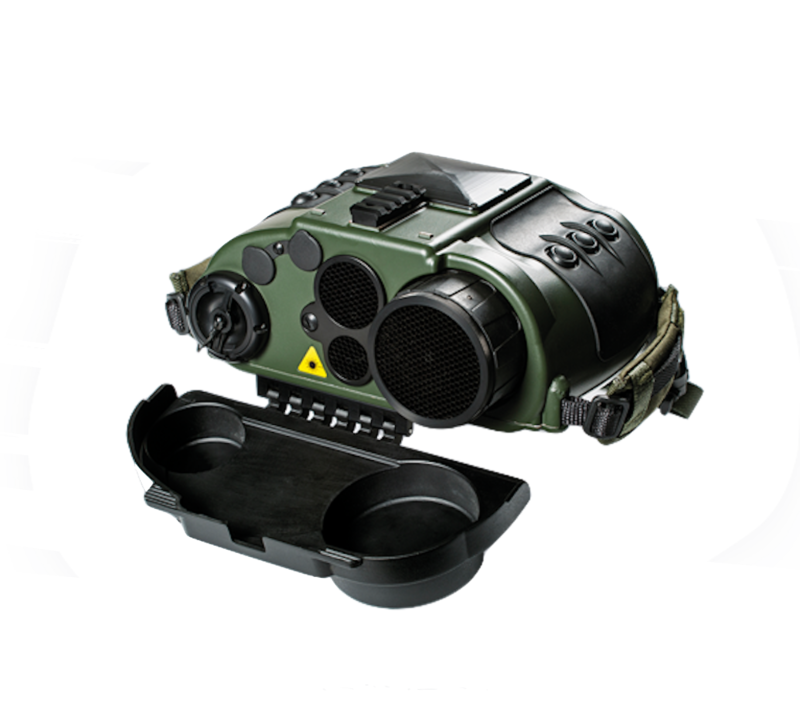 It is specifically designed for urban operations, special forces and reconnaissance units. A high-end thermal core together with high precision IR-optics gives excellent DRI ranges. LILLY can be connected to different C4I systems using either a cable or wireless connection. 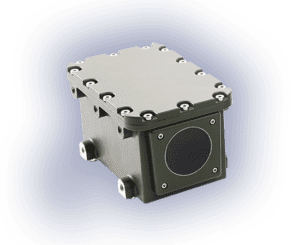 LILLY is an ITAR-free device and can be easily customized in order to excatly meet customer requirements. 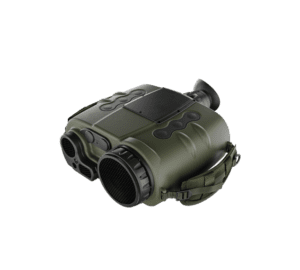 HUSKY VVLITE is a lightweight monocular night vision goggle that can be used as a self-contained pocket scope or can be mounted on a helmet, head or weapon. Models with a 40°, 50° or 60° field of view are available with or without their own power source. When coupled with a reflector or red dot sight, HUSKY VVLITE can be used as a night vision weapon sight. HUSKY VV2002 are binocular night vision goggles specially designed for vehicle drivers. 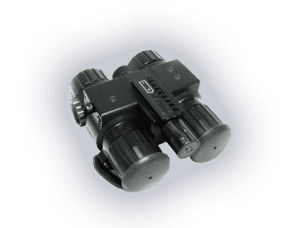 The binocular construction ensures a large depth perception enabling accurate and swift mobility during night-time operations. HUSKY V2002 is designed for a helmet or head mounting. HUSKY VV2000 is the smallest night sight on the market equipped with an internal illuminated reticle. 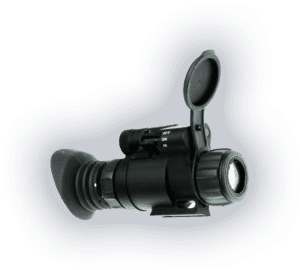 HUSKY VV2000 can be used as a pocket size monocular scope or can be mounted on a helmet, head or weapon. HUSKY VV3X is a night vision sight equipped with 3x magnifying optics. HUSKY VV3X is suitable for use with light and heavy weapons, as well as weapons systems and missile systems. The HUSKY Thermal Camera range include models for short to long range surveillance. Both hand-held and stationary thermal camera models are available. All models can be easily customized and integrated into different systems. The HUSKY Camera range is based on uncooled thermal camera technology. 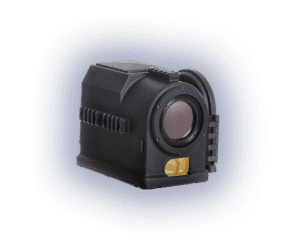 This HUSKY thermal camera sight is a smart and accurate weapon sight with integrated uncooled thermal imager, eyesafe Laser Range Finder, Global Positioning System, Inertial Measurement Unit, Digital Magnetic Compass and Ballistic Computer. SENOP develops and constructs reliable equipment and systems for safety- and security-critical applications. Designed and built in Finland with over 75 years of tradition and know-how, all SENOP devices have been field tested under extreme conditions and are fully operational regardless of environmental circumstances. Cold, heat, humidity, dust, wind or high altitude does not restrict the use of the products. SENOP‘s systematic operating methods, combined with long experience, makes SENOP one of the best experts on extreme conditions. SENOP was established in the beginning of 2016 when Oricopa’s systems integration business joined Millog Optronics business, the Nordic Region’s largest and oldest provider of optical devices. SENOP makes part of the Patria Group.